This University of California Museum of Paleontology site introduces users to its section on birds. 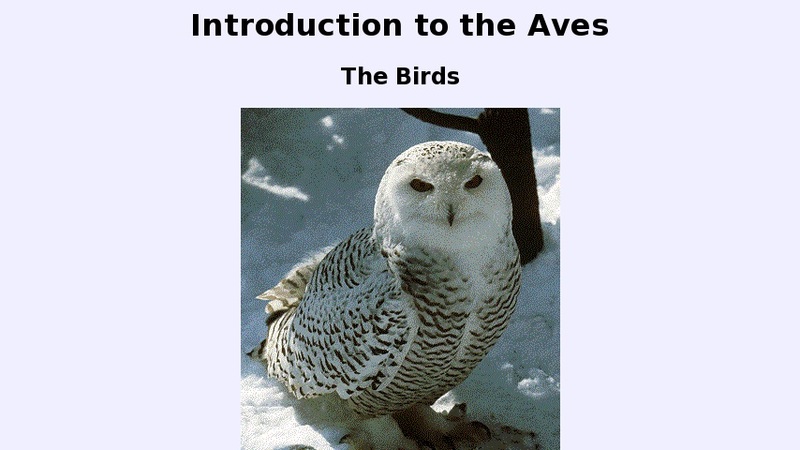 After a brief introduction to the Aves group, one has an opportunity to explore further via active links. These include Fossil Record, Life History and Ecology, Systematics, (classification system), and More on Morphology, along with a special link to a large section on vertebrate flight.